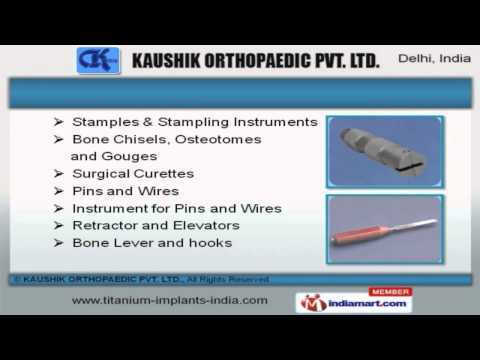 We are engaged in manufacturing, exporting and supplying a wide range of Orthopedic Instruments. This is known for their features like optimum quality, and high durability. 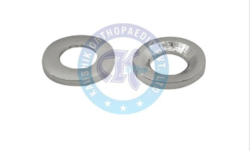 Kaushik Orthopaedic Pvt. Ltd, is amongst the leading manufacturer, exporter and supplier of this highly praised and preferred range of Orthopedic Instruments, since its inception in the year 2006. 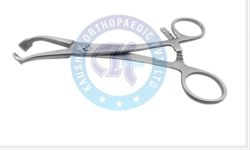 This commendable we offer range is inclusive of Bone Cutter & Bone Nibbler, Bone Holding Forceps and Clamps, Mini Bone Holding Forceps highly acclaimed in the market. Manufacturing of these is done as per the set industry norms and guidelines, utilizing the finest raw materials and modern machines. Because of this, the offered range’s optimum quality, low maintenance and high durability is highly commendable in nature. In addition, the offered range is marked at the best rate possible. We export our products in all over the world. The highly futuristic infrastructure facility, laced with all the required machines and equipment, helps the firm in achieving a number of goals and objectives. In order to maintain our pace with our competitors, we upgrade the facility regularly. For better management and fine operations, the facility has been parted into several highly functional units, lead by skilled professionals. These units work hard in a united manner to increase the firm’s production capacity and the standard of quality of the products. Established in, our founder has more than three decades of experience and has consistently worked hard for the promotion of Orthopedic trade. He firmly believes that correction of the human body requires and deserves maximum human effort. 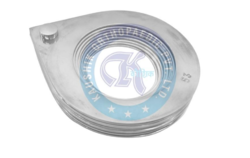 With a vision to be amongst the best entrepreneurs, we hit the market with premium quality of Orthopedic Implants & Instruments around sixteen years back and today, our company is considered as a trademark of quality. Our endeavor has been to keep pace with the rest of the world by providing the latest implants and instruments comparable to international standards, and make them available at competitive prices. At our organisation we make every effort to produce high quality products so that our unit gives satisfaction to the clients. There is a special team of professionals that procure the quality of material used in manufacturing the products. We put our tremendous efforts in manufacturing the machines. Our products are durable and resistant free. Our organisation checks the manufactured product at each level of production. Our organisation has the ability to supply more than what they expect.